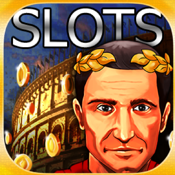 Simple, yet addictive, Slots for Caesar is a classic slots game with an engaging twist. Travel back in time to the Roman Empire with all its wealth and power and spin your way to great fortunes. As you enter the royal court, prepare yourself for the majesty and honor of Caesar, as he grants you free spins, gives you daily bonuses and you see your winnings grow. Visit our Facebook page at https://www.facebook.com/glossariumllc. If you're looking to enjoy a little casino action, specifically slot machines, no matter where you are we've got a solution for you.